Former Oldenburg County Champion and high quality breeding stallion. A modern show jumper of first class quality, Converter combines an impressive rideability with a beautiful type supported by an assured performance pedigree. Converter has won 17 young horse classes judged on style and potential up to 1.50m. 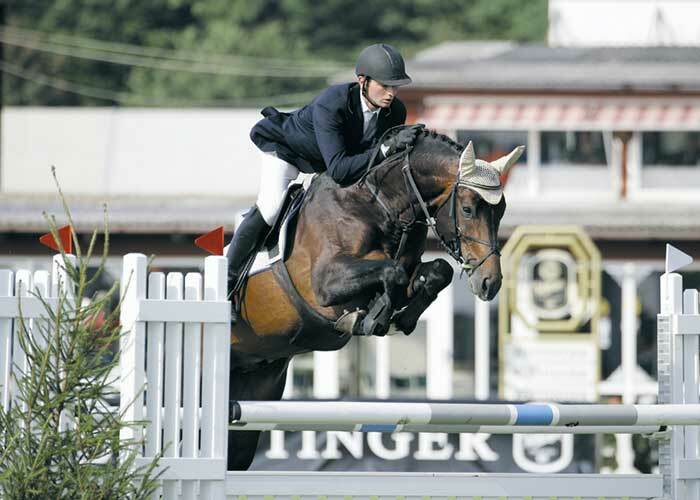 In 2005 he won the Oldenburg County Championship and was the second best German show jumping stallion at the young horse world championships in Lanaken. At his 30 day performance test in Adelsheidsdorf he confirmed the high hopes expected of him, he won the jumping test easily and received the top score of ten twice. His impressive rideability completes the picture of this modern show jumper par excellence. His sire Contender is one of the most successful Holstein producers of modern times. 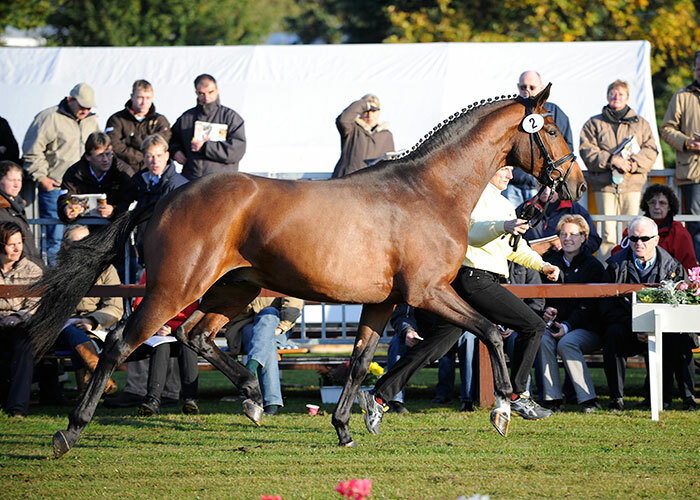 His offspring won over E4 million and include Olympic individual bronze medallist Montender/Marco Kutscher. 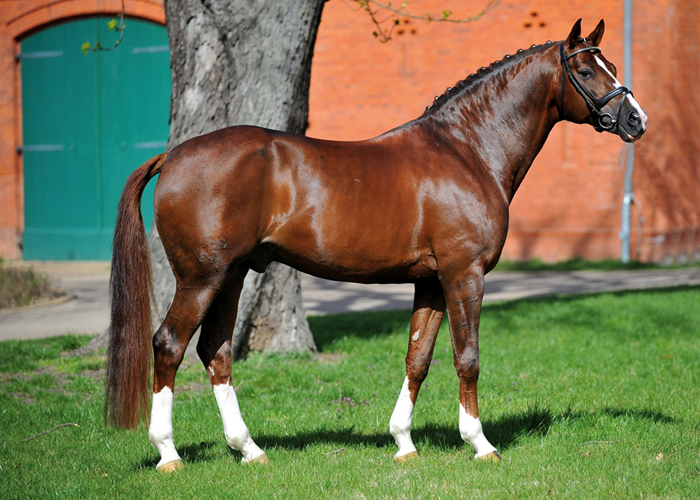 Converter is closely related to the current European Championship individual gold medallist and winner of the Rider Tour Shutterfly through his dam’s sire Silvio 1. He has already produced a number of approved stallions from his first crop. 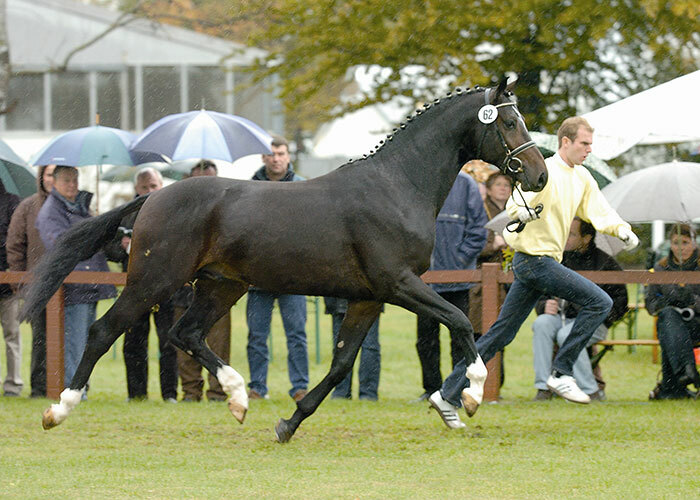 The approved Conquestator was the most expensive stallion at the 2006 AOS-Auction. He has 4 premium mares, 3 auction horses. Approved Oldenburg, OL-International, Hanover, Rhineland, Westphalia, South German Assoc. Italy, France and Sweden.